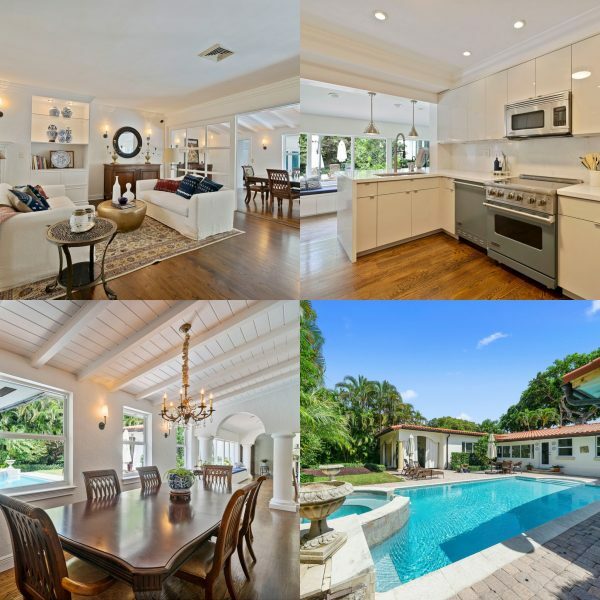 Located on a gorgeous tree-lined street, you will find a recently renovated 4 bedroom/5 bathrooms + office home in beautiful Coral Gables. In addition, a 5th bedroom was converted into a “teen room” perfect for kids to entertain their friends. A heated saltwater filtration system pool can be enjoyed all year round. The entire home has impact windows/doors, brand new 2019 roof, new kitchen all equipped w/ Viking appliances & new solid wood floors throughout. This is the perfect family home within walking distance to Salvadore Park, St. Theresa School, St. Philips Episcopal School, Little Flower Church, near the Venetian Pool & The Biltmore Hotel. If it’s the location you are looking for along with a turnkey home, this is it. First time on the market in almost 20 years! Ready for a new family.